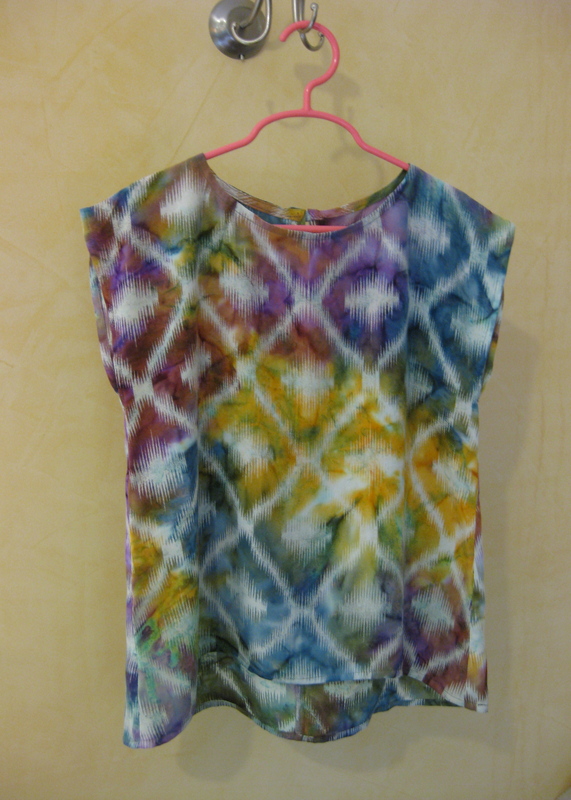 i was eager to try out the v-neck variation since i had never made a v-neck tee before. i picked up a 100% cotton jersey because it’s nice and stable. i wouldn’t dare try it in one of those thin rayon knits with loads of drape. also, i love the way cotton jersey washes and softens over time. it can definitely take the abuse of everyday life. 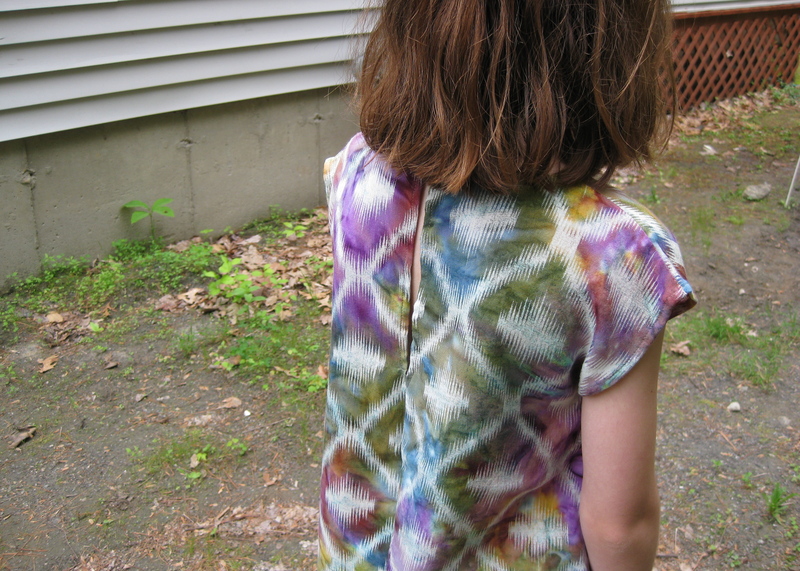 the v-neck binding is a little tricky, but the pattern comes with excellent instructions to make it as painless as possible. i ended up with a teeny tiny pucker that no one but me will ever notice. i could have ripped it out, but frankly i probably would have bungled it worse had i tried to fix it. that was just my tester version. 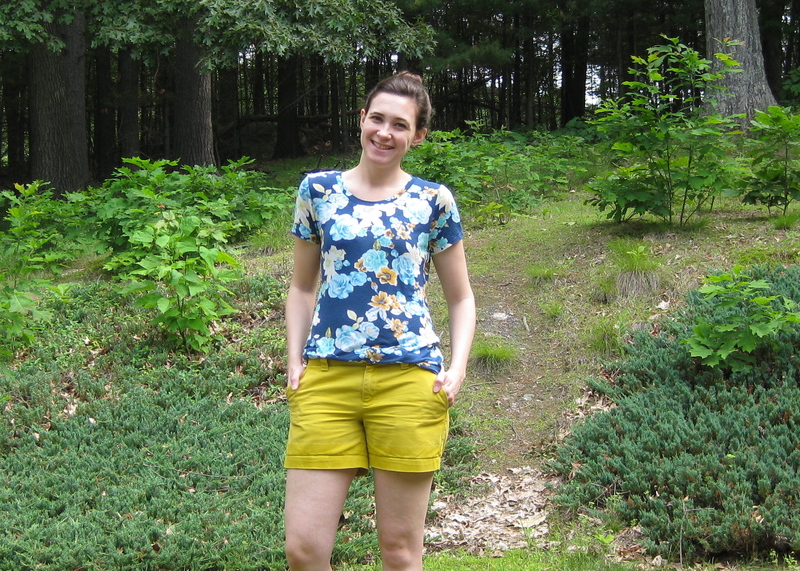 since i signed up for the blog tour, i thought i’d try out the scoop neck version of the tee as well. i picked up a rayon/cotton jersey from girlcharlee.com (the slinky non-stable type). 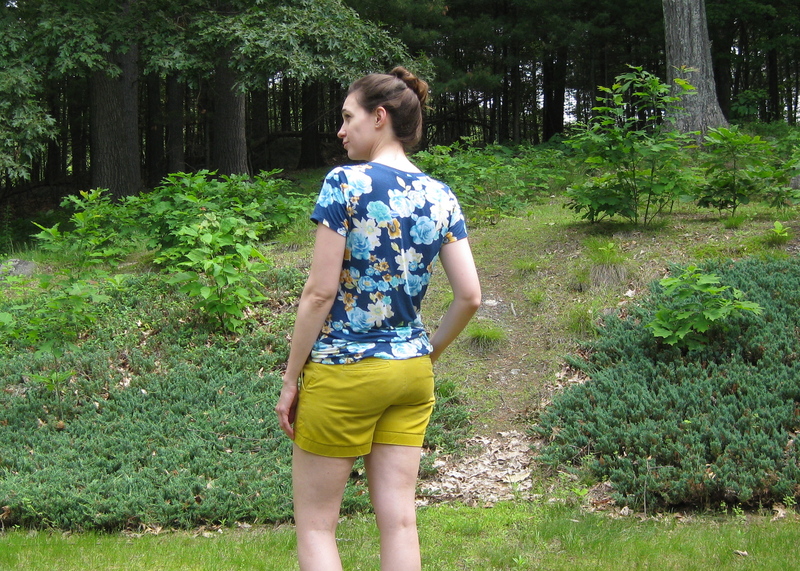 solid tees are great and necessary, but floral prints are totally my jam. this one is listed as a light to medium weight, but i would put it firmly in the lightweight category. like just a step above the tissue knits. 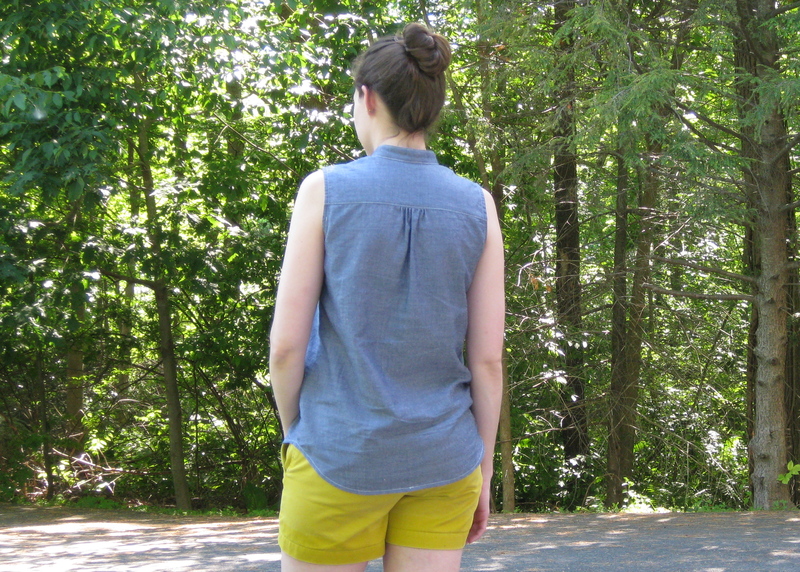 even though it’s lighter weight than i was hoping for, it makes for a great summer tee. 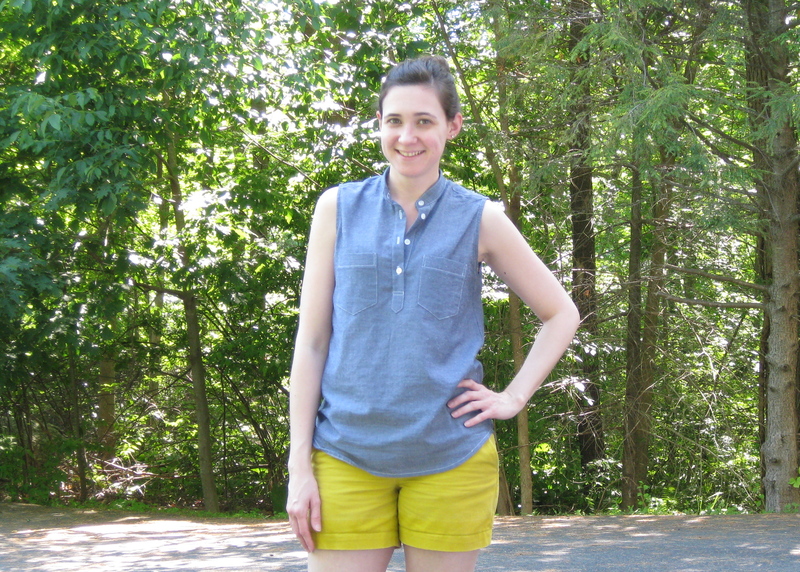 plus it goes with my chartreuse shorts. WINNING. sizing: you pick your size from the garment’s finished (bust and waist) measurements. 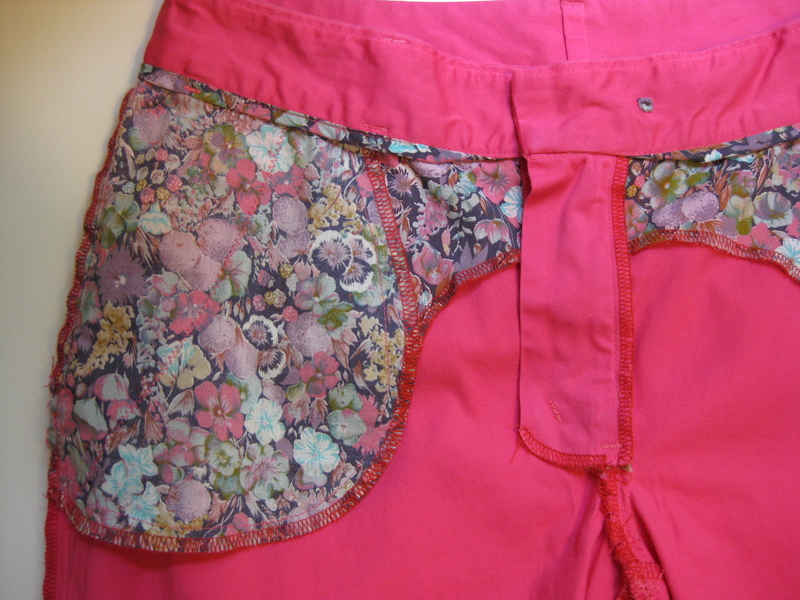 this allows you to choose either negative or positive ease, depending on your fabric. since this is a simple tee, you can easily grade between sizes if needed. seam allowance: there is nothing i hate more than giant seam allowances on knit patterns. the SA on this tee is 1/4″, which makes it ideal for serging. BUT it’s also fine for a regular sewing machine, if that’s how you roll. also, it means less fabric waste and a better chance of fitting all the pieces onto less yardage. yeah! 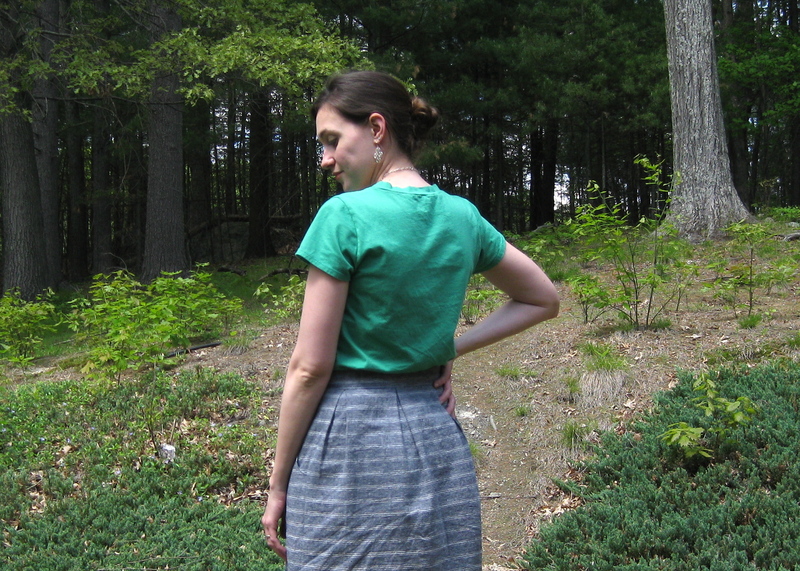 neckband: i generally discard neckband pieces since knits have different stretch needs. 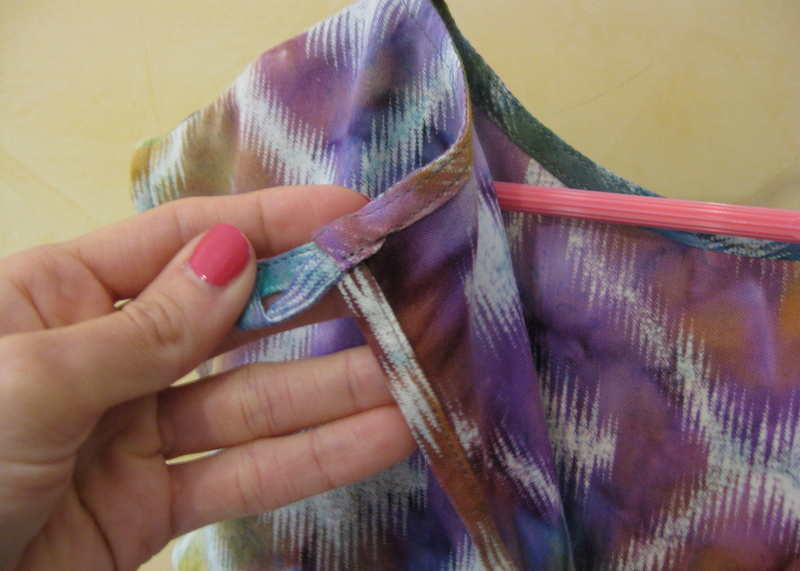 however, this pattern has two neckband lengths determined by the amount of stretch your fabric has. don’t know how much stretch your fabric has? there’s a handy chart for you to test! 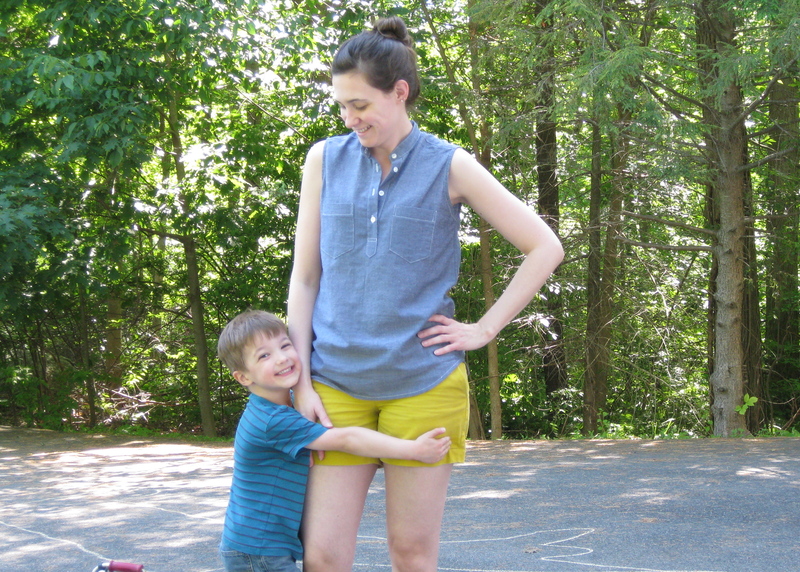 for both of the tees i made, the neckband length was perfect. directions: this pattern does not assume that you already know what you’re doing. 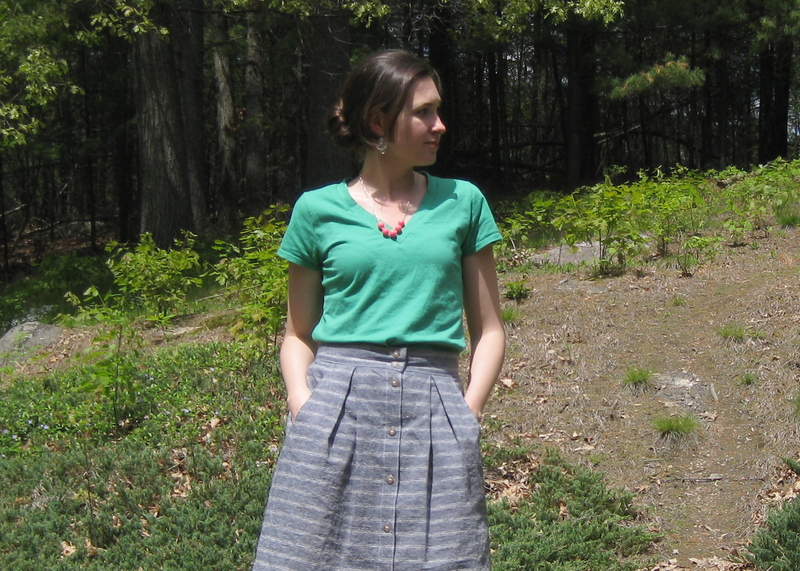 if you’re a bit unsure or just don’t have a solid grasp on knits sewing, be not afraid. drafting: all the pieces fit together nicely. the sleeve cap has basically no ease, as it should be. it sets in flat quite easily. so easily you barely even need to pin. options: there are sleeve length options, neckline options, neck band width options… no need to guess to make those little customizations. print layout: there’s a chart so you have the option to print off only the pages you need. guys. this i love. once upon a time i made a .pdf pattern where i had to print off over 60 pages, most of which i did not need. and well… i won’t re-hash that saga, but let’s just say that i was not pleased. there’s something strangely thrilling about making (and wearing) my own tees. not only are they a quick project, but they get worn all. the. time. 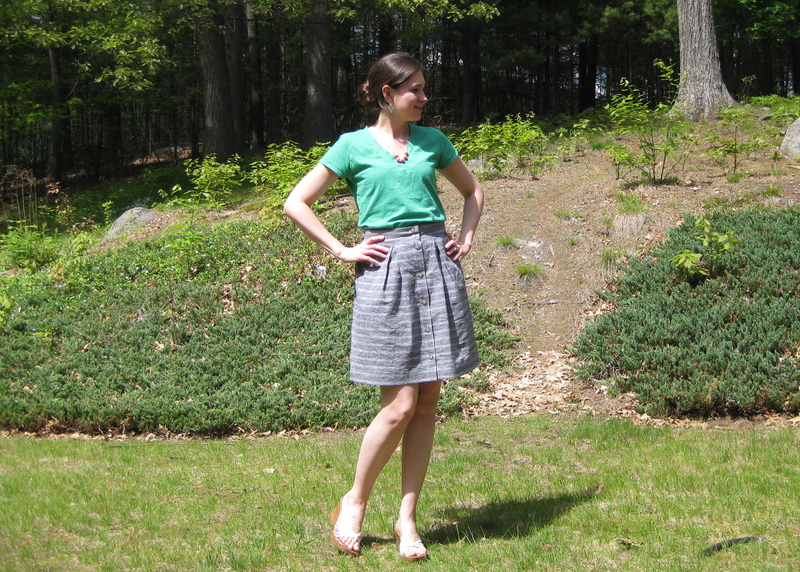 if you’re looking for a good tee pattern, or just dipping your toes into the knits game, this one is worth your time! 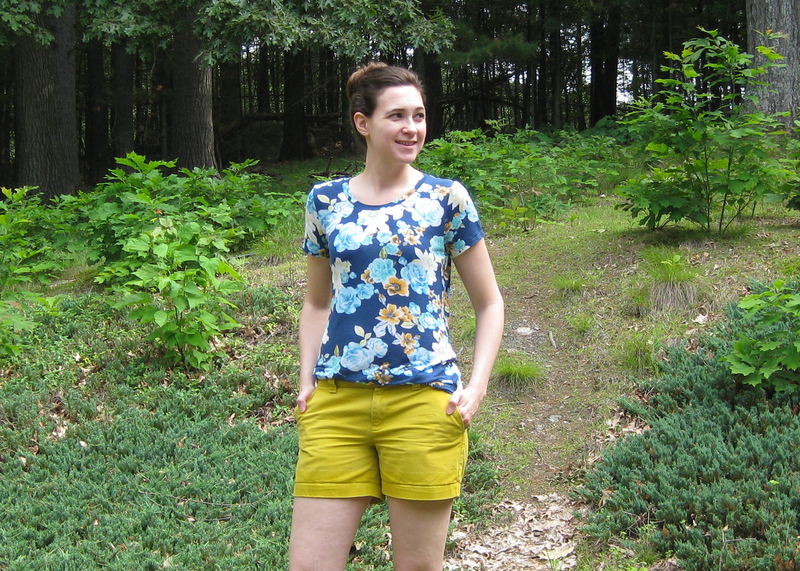 there’s lots of great ladies posting on the tour, also up today is Kat at sew chibi. make sure to check it out! need a copy of the pattern? pick it up here. thanks to Adrianna for inviting me on the tour! 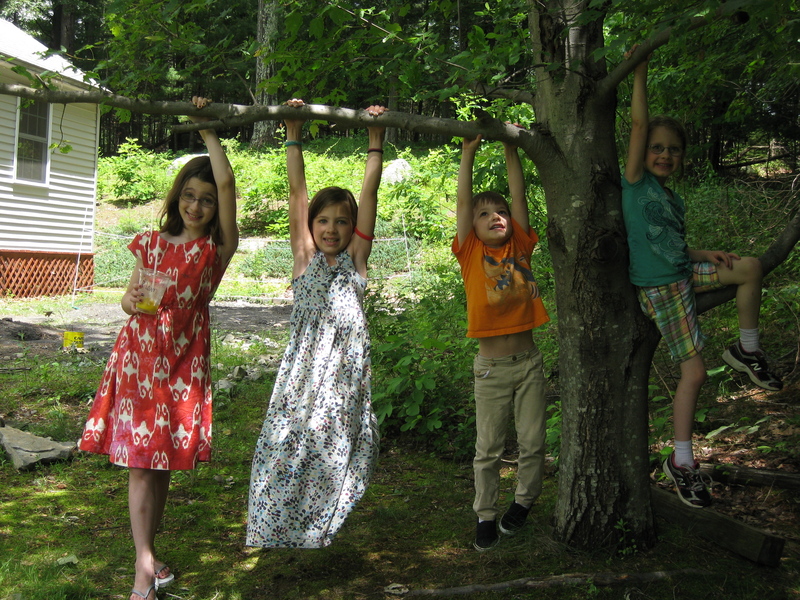 today is the last day of school for the kiddos. the last month of school is such a crazy time filled with activities and shows and events at school. not to mention the fact that the hubbs and i road-tripped it down to NYC last thurs/friday (more on that later!!). it’s always a relief to be on the other side, but of course that means they will all be home alllll day… it always takes a while to adjust, and no doubt they’ll be at each other’s throats in no time. so the “ten” alluded to in the title refers to my oldest daughter who just turned the big one-oh. ack! double digits! 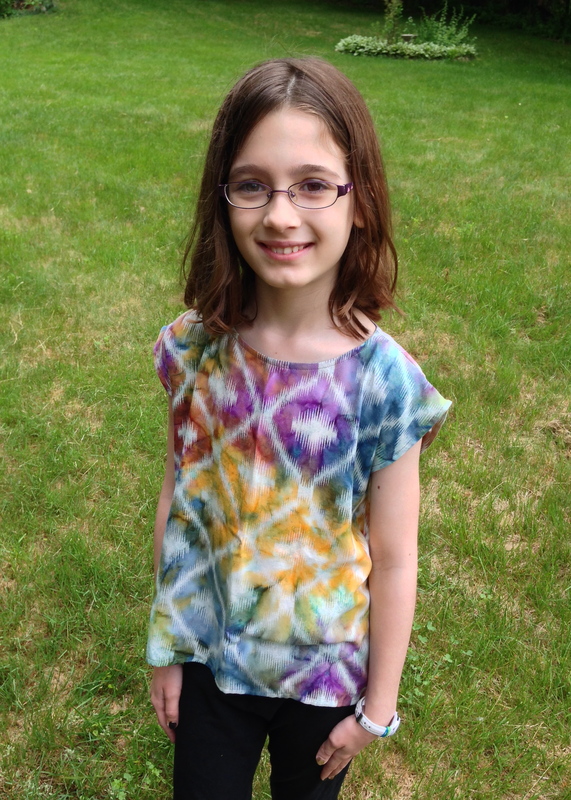 i always try to make the kids something for their birthday, so i picked up a rayon challis in a fabric that is totally her. 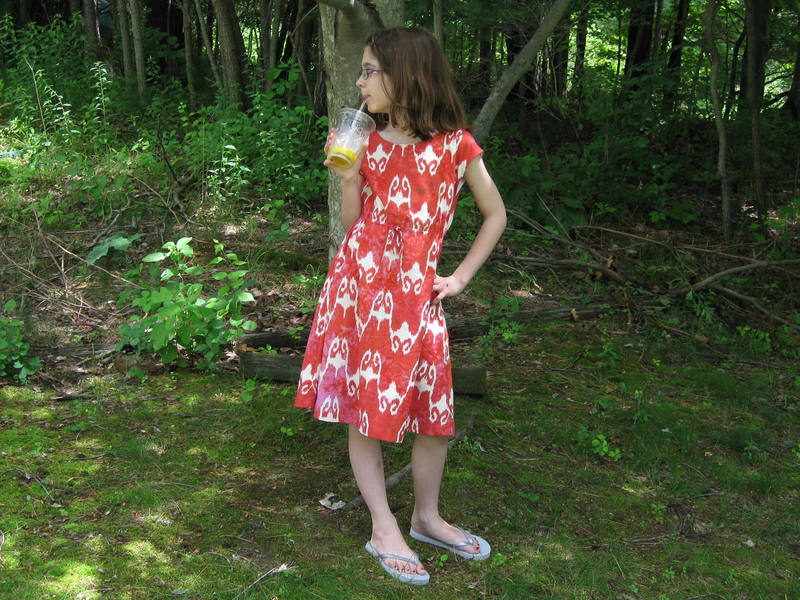 i started with the cali faye collection wednesday dress, but i utterly underestimated the fabric needed. 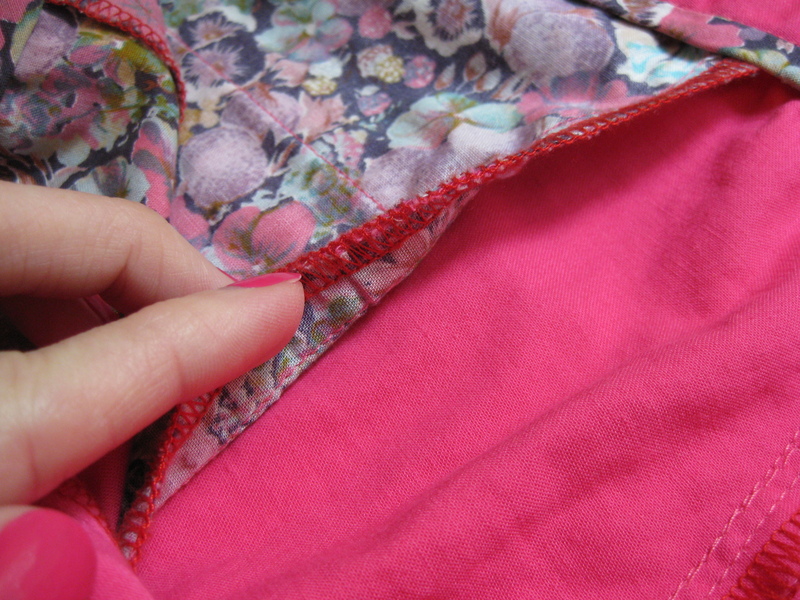 to compensate, i cut the pattern down to a blouse length and narrowed the sides to fit the fabric. there is still plenty of swing, and it worked out perfectly. i skipped the cutout on the back since the fabric has so much drape, and instead left a long opening closed with a button in the back. 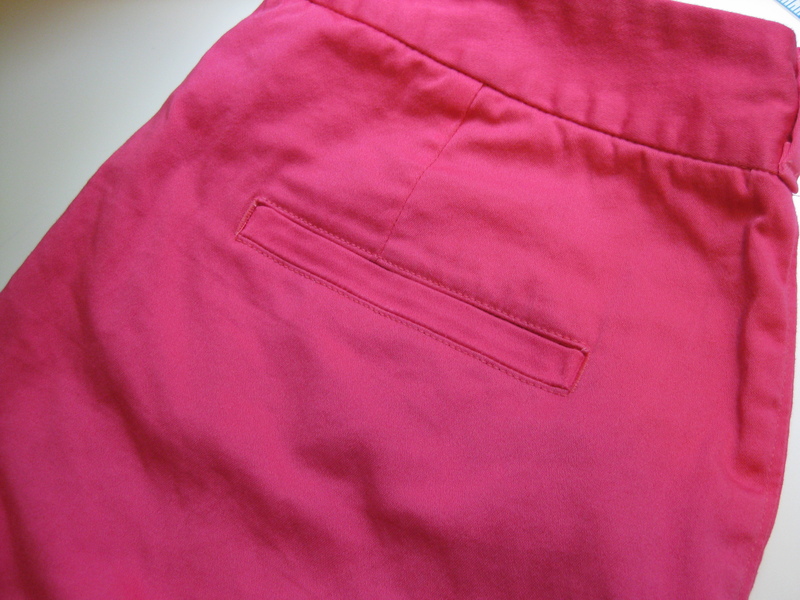 then, i shaped the hem with a slight high/low thing happening. as far as sizing goes, based on her measurements, she sits at about a size 6 in width, but almost 10 in height. 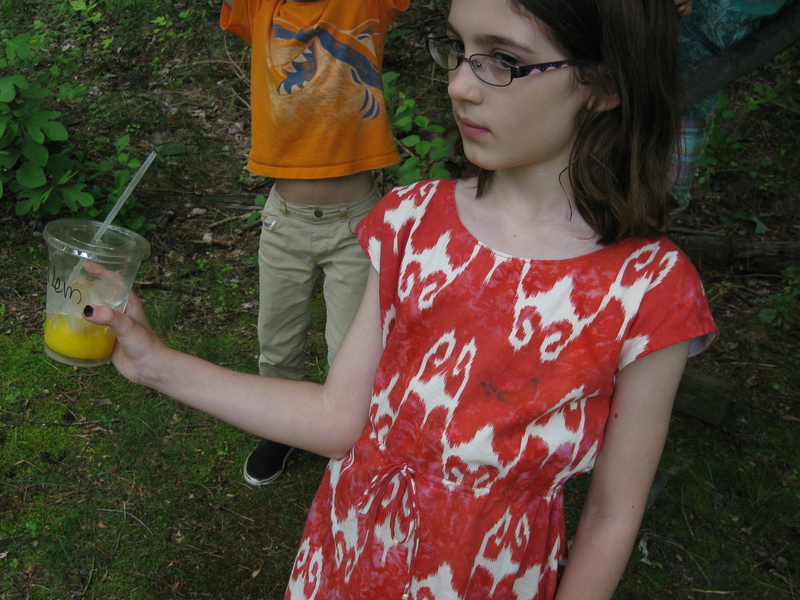 i find this utterly frustrating in kids clothing—RTW or patterns. i decided on a size 7, and would have lengthened to a 10 but… like i said, i didn’t have enough for the dress anyways. i was so bummed about that i went and bought a different fabric, which i successfully cut, and i can’t wait to sew it up so i can give a better review! 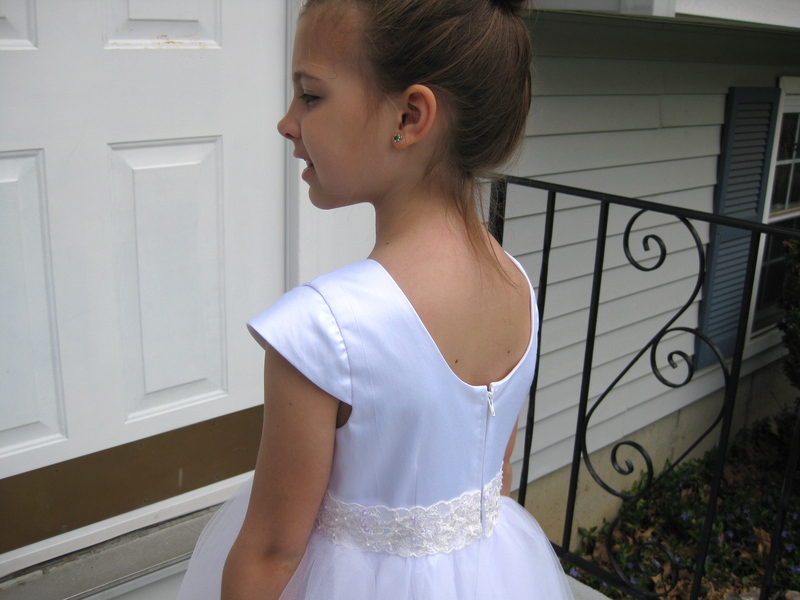 last year i made a first communion dress for my oldest daughter that i was pretty disappointed in at the time. it was missing that special something and i vowed to do better next time! as it turns out, that dress i was so meh over has been pretty useful over the year now that she’s grown into it (and after hacking off several inches in length). 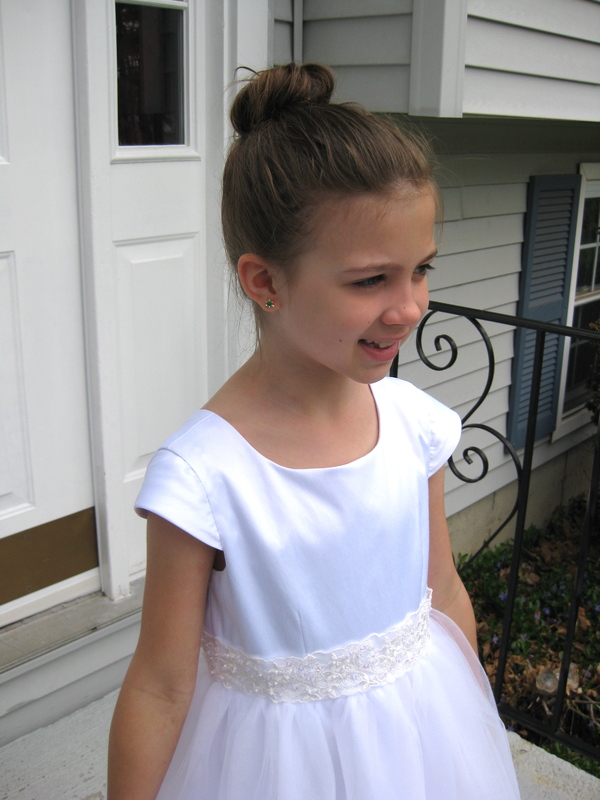 it was her birthday, christmas, and easter dress with the addition of a belt or tie sash. 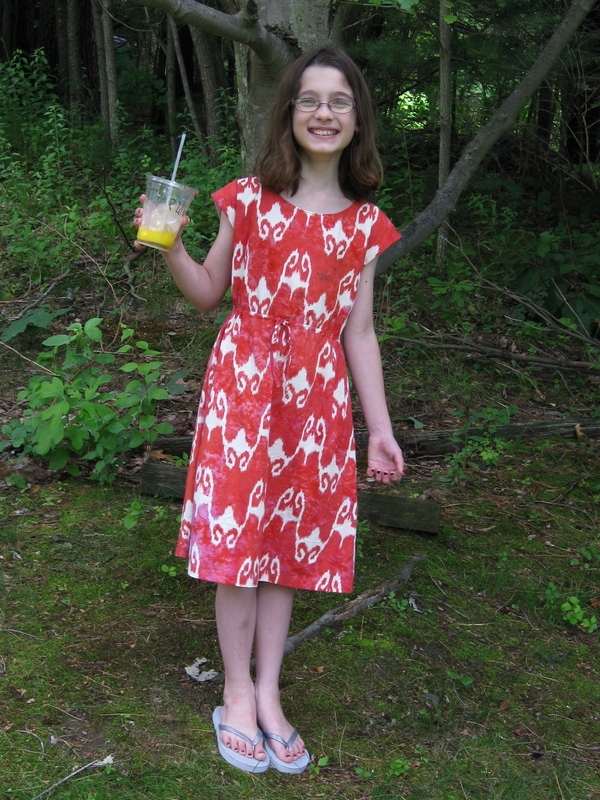 daughter number two, Sylvia, is much easier to sew for, given her affinity for all things fluffy and over the top. i used a new look pattern (i think… can’t be bothered to look it up…) for the bodice because i like that it has darts for shaping. the skirt and sleeves are self-drafted. i actually muslined this bodice to check fit. 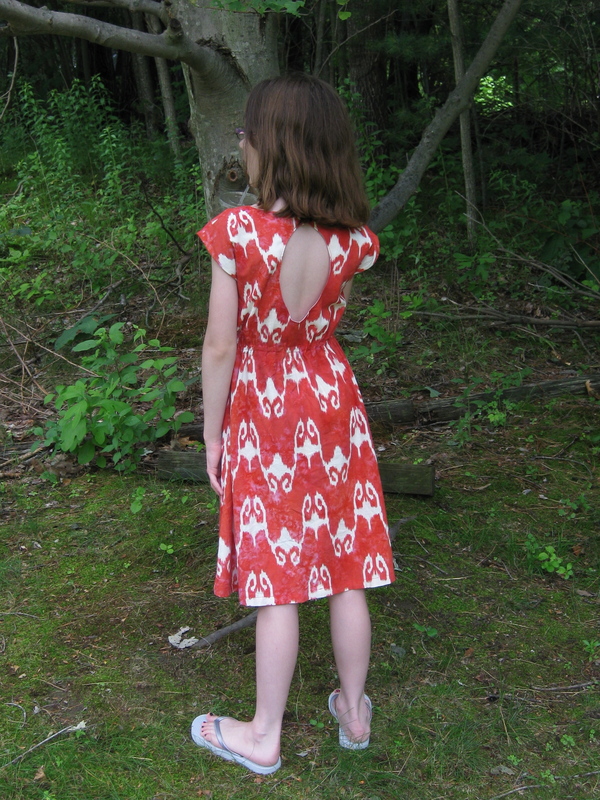 however, it’s pretty hard to fit an 8-yr old who couldn’t stand still to save her life, so the finished dress was a touch gape-y at the neckline. i used a cotton/poly sateen because i was determined not to put her in that horrid poly satin that is not only the devil to work with, but not exactly breathable. i scooped out the back neckline and drafted a cap sleeve. i’m really proud of my cap sleeve, as i came up with a clever way to make them. i cut a football shape on the bias, folded it in half and draped it directly on her shoulder while trying on the muslin. 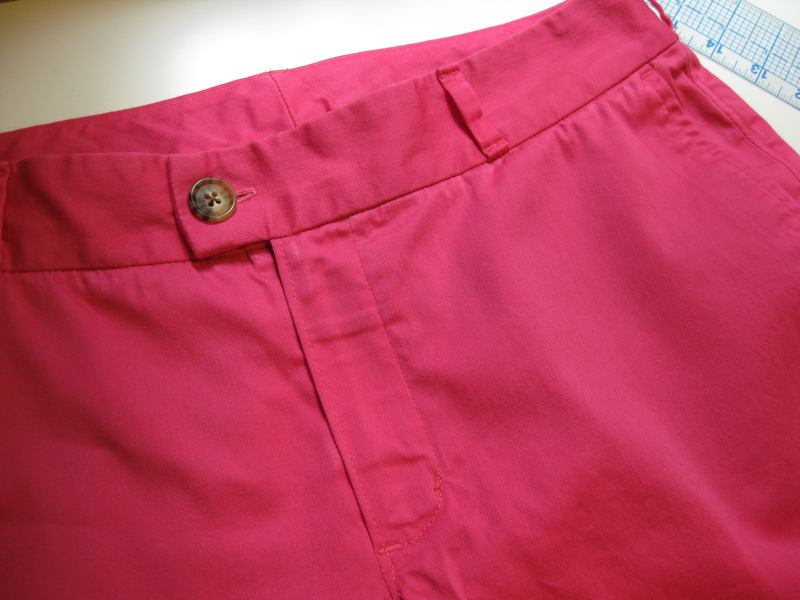 the bias cut allows for movement, and folding it in half eliminates hemming for a nice soft look. i cut it to have no ease throughout the sleevecap, but since it’s on the bias and naturally stretches, i probably should have cut it smaller than the armhole. it appears to pucker slightly in places, though i assure you the stitching line is completely smooth! oh well, not a big deal. i used every inch of the 8 yards of tulle to make a nice fluffy over skirt, and i think it has just the right amount of volume. the tulle is in three doubled layers (6 altogether) and ugh that was a hassle. hate that stuff! underneath is an a-line gathered skirt from the main fabric, and the whole dress is lined under that. 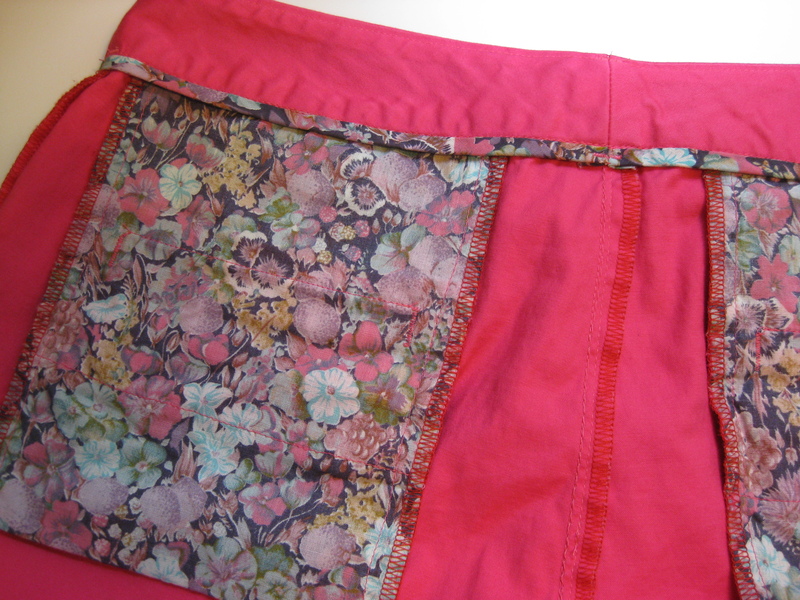 i hemmed the underskirt with wide bias tape to stiffen the hem and give it body. 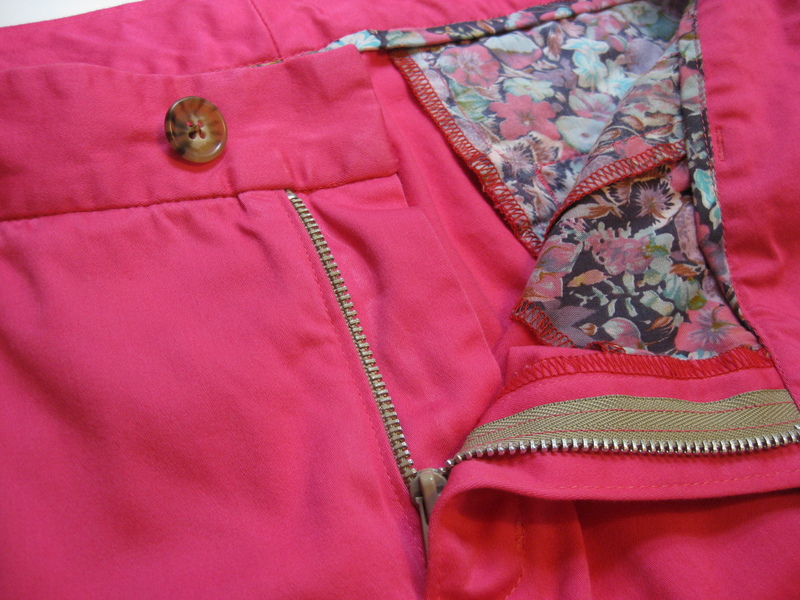 the zip is hand picked because it’s just easier to navigate all the layers, and i like the hand-made touch on a dress like this. then after agonizing and searching everywhere, i finally found the perfect width of perfect beaded/sequined lace for cheap at my local fabric dive, which i hand-tacked down in several places. 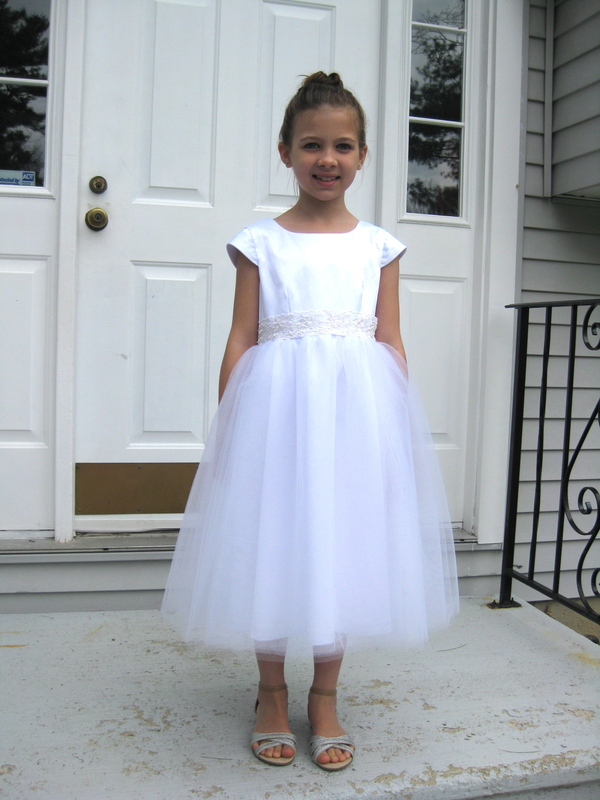 while this dress has no practical uses post-ceremony, it was a fairly simple make and received many compliments. she has no shyness in proclaiming her hand made goods, so i spent a bit of time explaining what sewing is to a few of her classmates. who knows, maybe we managed to spark an interest in a younger generation!